Our first Android application is already in the Android Market! It’s called Chameleon Color Picker and it displays the color of the objects you point the camera to. It also displays the RGB and hexadecimal codes, so you can use that color in any other program. The idea came from the 0,000001 Megapixels camera post from “No puedo creer que lo hayan inventado” (I can’t believe they invented it). 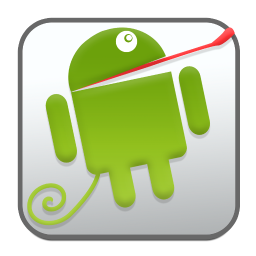 Also, keep an eye on the following link to see all our Android applications. We only have one for the moment, but have ideas for a few more!